To ask Christy Deveaux questions, please sign up. I just read Wicka and was feeling a little frustrated. I came to hour Goodreads page and found my answer about how you are working on a sequel and I am thrilled. How much longer before there is more information about the sequel? I would really enjoy reading it. Christy Deveaux Thank you so much for your interest in The Chronicles of Elizabeth Blake. I am currently working on the sequel. 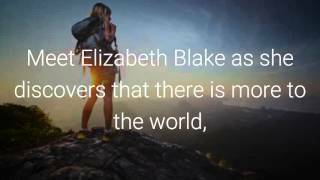 I have, however, just started the…moreThank you so much for your interest in The Chronicles of Elizabeth Blake. I am currently working on the sequel. I have, however, just started the actual writing so it will take some time to complete. It took me a while to really organize what I wanted Elizabeth and William to experience in the second book and how much travel I wanted to incorporate into it. The first book was largely about travel and Elizabeth experiencing so many "firsts", as she grew up in a very sheltered environment. The good news...There are so many elements I want them to explore that I am already thinking of elements for a third book, which means you won't have to wait as long for that release. In appreciation of your patience, maybe I will post some teasers as the book develops or some insight into the story line. What I can tell you is that it will be based mostly in England with some travel involving discoveries. It will have more action and adventure than the first, but there will also be a strong romantic component. 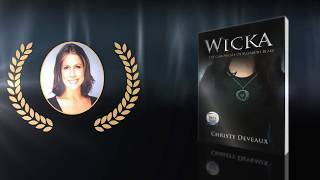 "Wicka: The Chronicles of Elizabeth Blake is a paranormal romance by Christy Deveaux. We’d love your help. Let us know what’s wrong with this preview of Wicka by Christy Deveaux. "Wicka is the fantastical tale of an average high school student who decision to finish her senior year abroad catapults her into a world dominated by legends, witchcraft, and sinister plans.
" Thank you Netgalley for allowing me to post my book and description on your popular platform! !